If you are already a golfer and you have picked up some bad habits that are effecting your golf game negatively, you probably picked them up when you first started playing the game of golf. Well I’m here at simple golf swing made easy to tell you that fortunately for you, you can turn your bad habits into good ones thus creating a simple golf swing to hit it straighter and farther. The first and most important part of the easy golf swing is having the proper grip, The whole golf swing starts with the grip. You can find out more about the proper grip here. Another important factor of the golf swing is where you are aiming your body and club before you make your swing. If you are not aligned properly the golf ball will never go in the direction you want it to, thus leading to bad shots. To help this problem when on the tee box check to make sure your shoulders are aligned with the target line that you wish the ball to travel thus increasing your chances of the golf ball going straight. Another problem I see many amateur golfers make is their wrist action, 90% of bad shots are a direct result of this problem. You must be sure that your left wrist stays flat in relation to your left forearm and your left hand. Also, never take your club back further than you shoulder will turn. If you are standing on the tee box and you see trouble on the left, say like water or trees always tee your ball up on the side of the tee where the trouble is thus giving you a better chance of avoiding the trouble and saving you some strokes. I know that like every amateur or weekend golfer they want to hit their driver as far as the pro’s do but believe me that is easier said than done. I have subscriptions to many golf magazines and every month they have something that’s gives a tip like ( hit your driver 50 yards further ) but rarely does it ever work. There is no quick fix because they never work long term. The only thing that will work long term is you working on yourself, that is getting yourself in the best physical condition that you possibly can. You can go to the driving range every day and hit 100’s of golf balls every day, you can take lesson after lesson, you can buy a state-of-the-art driver but you can not buy club head speed and club head speed is the only thing that will allow you to hit the golf ball further. So hitting more balls or taking more lessons will never do it for you. 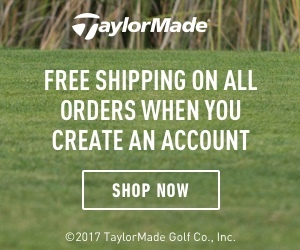 You can improve your technique but the only thing for more distance is your physical condition. Period. How many times have you striped a drive right down the middle of the fairway and then tried to remember exactly what you did with that shot to be so perfect and then just can’t duplicate it, very frustrating. A simple powerful golf swing is just not about swinging harder. I’m sure you have stood over your golf ball and said to yourself I’m going to crush this one and swung with all you had and, what was the result?. Probably hit it shorts or way off-line right? Like I said earlier, the only way you are going to get more yards with your driver or any other club in you bag for that matter is with a controlled swing with more club head speed. If your body cannot physically make that optimum swing then you have no business swinging harder. So what if you decided to get your body in golf shape. What I mean by that is to improve your core strength, improve your flexibility,you will now be able to make a full shoulder turn in your back swing, thus building up much more torque which in turn will translate into your club exploding into the golf ball at impact, make sense? You now have a power swing that is effortless and under control and you will be just killing it of the tee and the deck leaving your playing partners in awe and amazement. So remember if you want a powerful but effortless easy golf swing you need to take care of your bodies condition first and the rest will follow resulting in a much better and more fun golf game. The simple golf swing really is just a turn back and then a turn through, I mean it really just doesn’t get much easier than that, so why would you not want to get your core and your body as flexible as possible. There are many core flexibility exercises you can do right from your home or office, after all it is the key to longer drives and fairway irons. Sit in a chair and cross your arms in front of you and just start to rotate your torso back and forth as far as you can, start out slowly start rotating faster as you feel your torso loosening up, do this as long as you can and as often as you can, you will soon notice a change in the flexibility in your back swing and follow through. The most important factor in a successful simple golf swing is flexibility, plain and simple. It has been proven that pre stretched muscles perform much better than muscles that have not been pre stretched, ii think this holds true especially with the game of golf. Golf is a power sport and many times during a round of golf you need all the power you can generate at certain times. That is why your muscles should be in the best condition and as flexible as possible. Balance also is important to the simple golf swing which I will get into next. Balance is very essential for implementing the simple golf swing. The first thing would be your set up. A good set up as you address your golf ball would to be in a very athletic position before making your back swing, this will make you have complete balance throughout the entire golf swing. Even if your technique is slightly off if you are balanced you still have a good chance of making a good shot. I see a lot of amateurs get up to their ball and make a swing and try to kill it, therefore losing their balance and the golf ball goes all over the place. As long as you can take care of having good balance the golf club is designed to do most of the work, along with building strength flexibility your are on your way to a much more enjoyable simple golf game. Great article! I’m looking forward to using these tips to improve my golf swing! 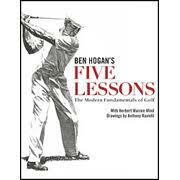 Great and easy to read article for an inexperienced golfer! My dad has just started playing golf so will show the article to him too. I took a basic golf lesson a few months ago and I feel that other than posture and flexibility, the key is really the amount of time you put into practice! Sometimes you feel yourself acting like a robot in order to make sure I am doing everything right. But this gets better as you practise more! you should be forced into a swing that is not naturally, you should try and nurture your natural body capabilities to create a smooth golf swing and then yes practice!!! This is a test comment from Site Support.